There are specific flowers which are traditionally given according to the month that a person is born. The February Birth Flower is the Violet. 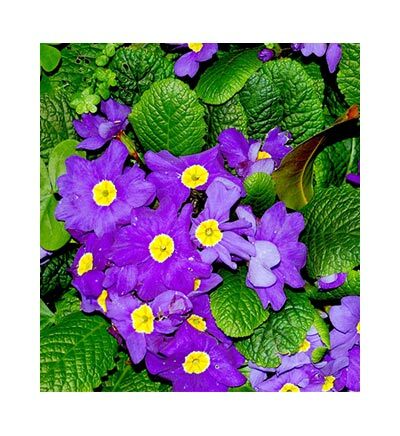 The History and traditions surrounding the February Birth Flower, the Violet is fascinating. There are many myths and legends about the origins of this tradition. It is believed that birthday celebrations originated in the Roman Empire and the origins of birth month flowers, such as the Violet, could be said to date back to these times. During Roman birthday celebrations family and friends offered congratulations and brought gifts. The gifts included gemstone jewelry, such as the Amethyst, and also flowers - the first traditions and origins of the February Birth Flower. The language of flowers developed during the highly conservative period of the Victorian era. The Victorians were strongly restricted by the rules of etiquette when it was considered totally inappropriate to express feelings of love or affection. The "Language of Flowers" therefore evolved when a message was assigned to specific flower such as the Violet. A lover could then send flowers which conveyed a hidden romantic meaning. The scientific name of a flower species is formed by the combination of two terms: the genus name and the species descriptor in the case of the common blue Violet is the Viola sororia.